When a new rental applicant says the rent you are asking for is too high, what’s your response? Does it make sense to negotiate the rent? Rent negotiations cost landlords in ways they may not even realize –in future rents and in problem tenancies. Whether it is in a landlord’s best interests to engage in a negotiation with a tenant depends on many factors — one of the most important of which is timing. If the tenant is asking for a rent reduction before they have been prequalified or toured the property, they could be trying to get into a property they can’t afford. To negotiate a rent reduction as this juncture is a losing proposition for a landlord. If a tenant is looking at a rental property that is outside their means, it is likely that they have made similar decisions with other expenses, like car payments, cellphone plans, or credit card purchases. When these bills all add up, it is the landlord who will suffer, with late rent payments or a tenant who defaults altogether. The best course of action for the landlord at this stage usually is to stick with their price, and prequalify applicants to find the ones who can afford the rent. 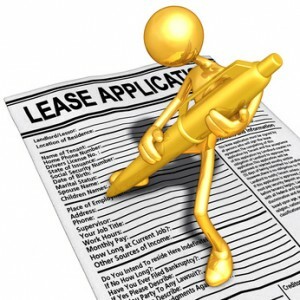 Once a landlord encourages an applicant to negotiate, they risk having to haggle over other terms in the lease. Eventually, this process can erode the landlord’s authority. It is best to be clear with the rules, and avoid creating the impression that you are flexible, especially at the beginning of the relationship. Setting rent has become easier now that apartment hunters have taken to the Internet. There are a number of online rental classifieds that you can run for comparison, including local newspaper classifieds. Now, it is possible to look at comparables anywhere in the country and never leave your home or office. When using online sources, however, it is wise to disregard rents that appear far too low — those listings could be scams. In addition to online sites, you can also make calls to local leasing offices, or look at properties with “for rent” signs to get a feel for the market. One trick to a successful rent negotiation is to make it a process — to make the tenant work for it. If after touring the property, an interested applicant feels justified asking for a rent reduction, find out why. Their answer will shed light on how interested they are in the property. For instance, have they recently toured other comparable properties that you may have missed in your research? Bring your research with you when meeting with the rental applicant to prove that you are asking a reasonable price. If the applicant hasn’t done the research or is still hedging, you may want to pass on this candidate — chances are, they haven’t made up their mind that this is the right apartment for them. Ironically, the reality check of being turned away may be just what the candidate needs to drop the negotiation and ask you to consider them at the original price. For the landlord, it all comes down to money when negotiating rent. But for the tenant, it helps down the road if they feel like they won something, too. If the applicant was earnest in their efforts to negotiate rent, one way to score a “win-win” with a price negotiation is to counter with something besides a full-on rent reduction, which can plague the landlord far beyond the term of the original lease. For instance, if it’s feasible, offer them an extra day or so to move in, or offer some incentive if they renew the lease. This limits the landlord’s loss of income, and at the same time gives the tenant reason to be satisfied with their choice.